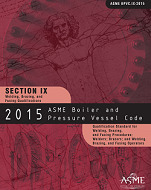 BPVC-IX-2015, Section IX of the ASME Boiler and Pressure Vessel Code relates to the qualification of welders, welding operators, brazers, and brazing operators and the procedures employed in welding of brazing in accordance with the ASME Boiler and Pressure Vessel Code and the ASME B31 Code for Pressure Piping. 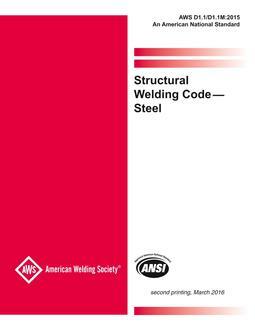 Section IX establishes the basic criteria for welding and brazing which are observed in the preparation of welding and brazing requirements that affect procedure and performance. The purpose of the Welding Procedure Specification (WPS) and Procedure Qualification Record (PQR) is to determine that the weldment proposed for construction is capable of having the required properties for its intended application.